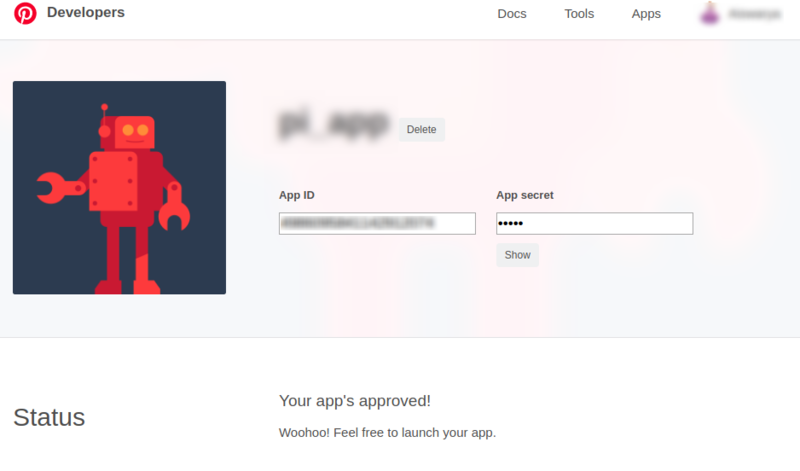 Enter the Name and Description of the app and click “Create”. 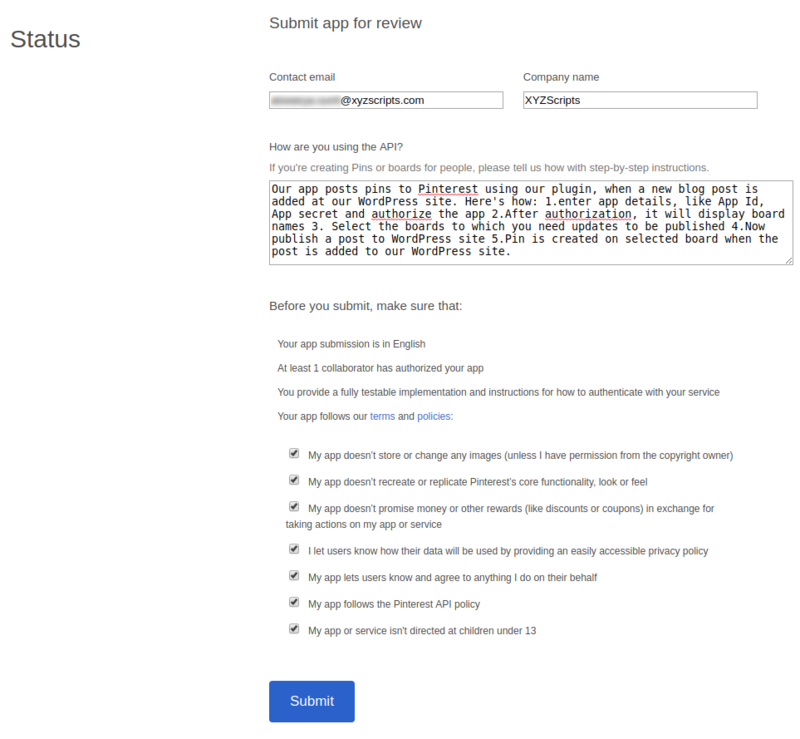 Submit the app for review. 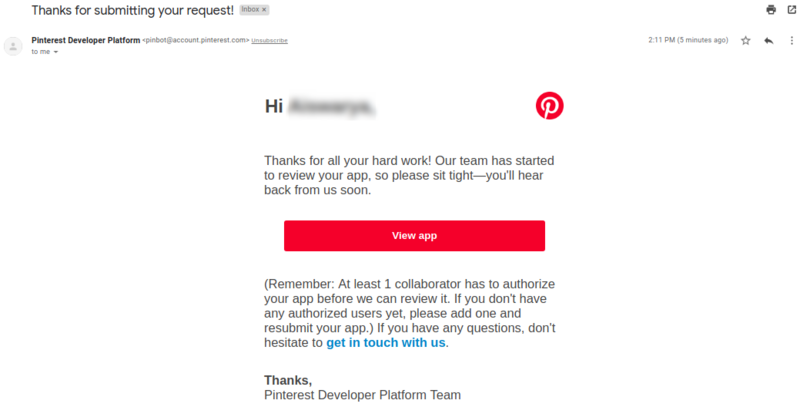 Before submitting for app review, you should add a collaborator to your app (make sure you’re following each other on Pinterest) and you must authorize your pinterest app. For this create an account with pinterest app details at the premium xyz-smap account settings. 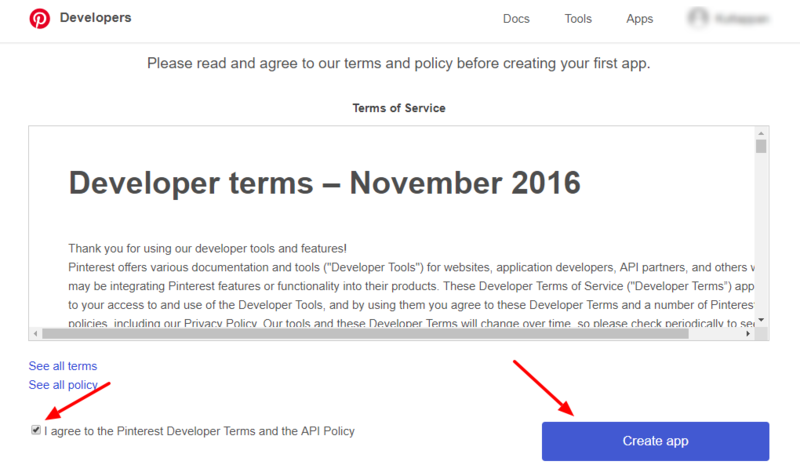 In the application page in pinterest, navigate to Site URL under Platforms > Web. Set the site url and Valid OAuth redirect URIs as given in the plugins settings page (above). 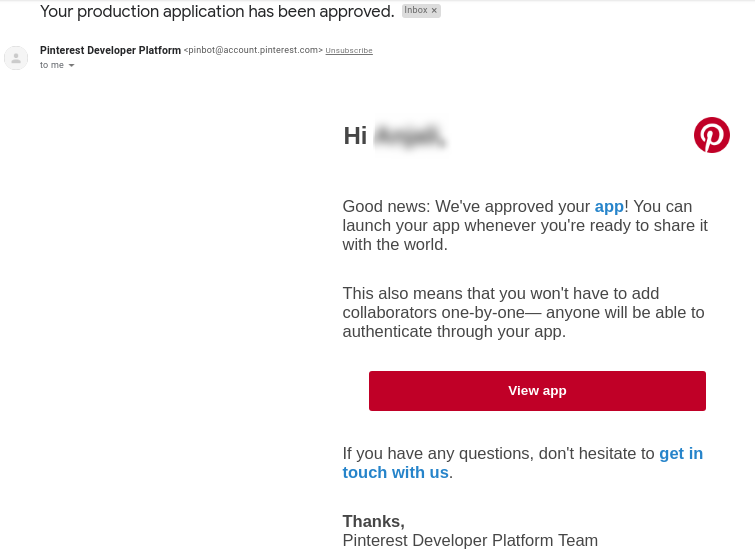 After successful authorization the submit for review button will appear on the application page of pinterest. Enter the contact mail,company name and description in the form. Our app posts pins to Pinterest using our plugin, when a new blog post is added at our wordpress site. After entering all the details click on “Submit” button. 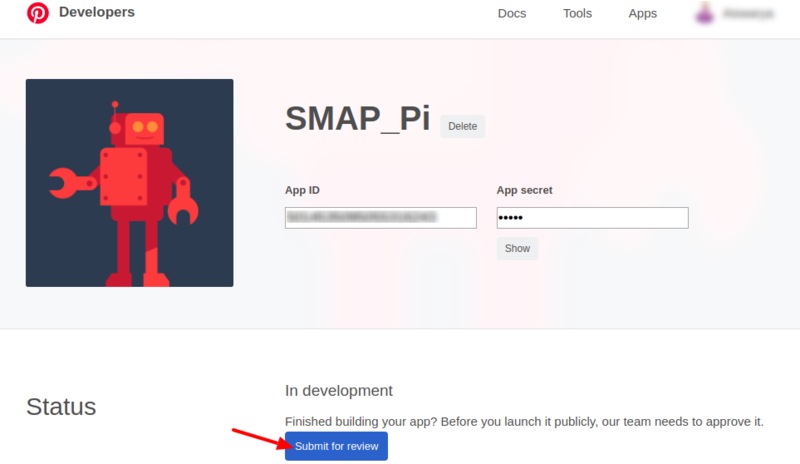 Now the app submitted for review. Once the app got approved we will get a notification. 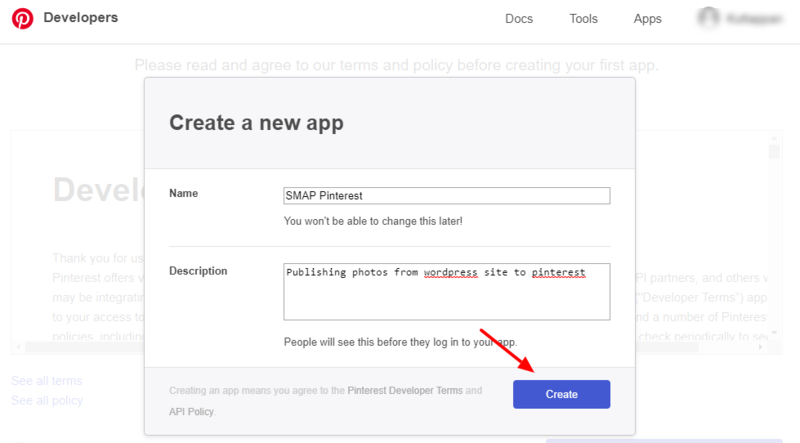 Now we can use the app for publishing our wordpress post to pinterest.